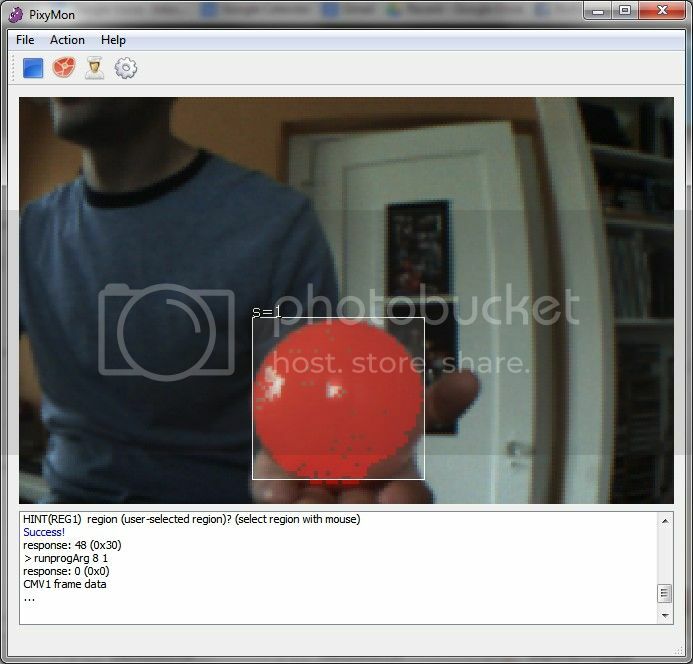 Pixy (CMUcam5) is a partnership between the Carnegie Mellon Robotics Institute and Charmed Labs. 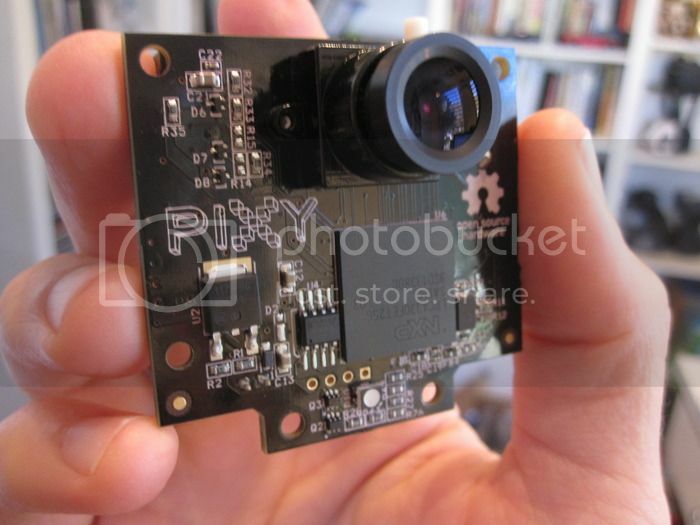 Pixy comes from a long line of CMUcams, but Pixy got its real start as a Kickstarter campaign. It first started shipping in March of 2014, but it's already become the most popular vision system in history! Pixy is funded exclusively through sales, so thank you for making Pixy a success! You can watch the original Kickstarter video below -- it's a good introduction! It's possible to hook up multiple Pixys to your microcontroller -- for example, a robot with 4 Pixys and 360 degrees of sensing. Or use Pixy without a microcontroller and use the digital or analog outputs to trigger events, switches, servos, etc. 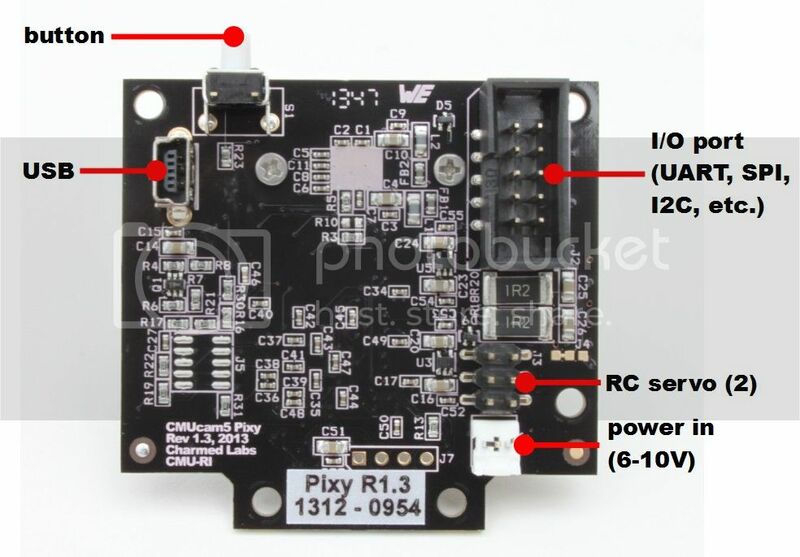 Pixy can easily connect to lots of different controllers because it supports several interface options (UART serial, SPI, I2C, USB, or digital/analog output), but Pixy began its life talking to Arduinos. Over the last several months we've added support for Arduino Due, Raspberry Pi and BeagleBone Black. Software libraries are provided for all of these platforms so you can get up and running quickly. Additionally, we've added a Python API if you're using a Linux-based controller (e.g. Raspberry Pi, BeagleBone). Pixy is unique because you can physically teach it what you are interested in sensing. Purple dinosaur? Place the dinosaur in front of Pixy and press the button. Orange ball? Place the ball in front of Pixy and press the button. It’s easy, and it's fast. PixyMon is great for debugging your application. You can plug a USB cable into the back of Pixy and run PixyMon and then see what Pixy sees while it is hooked to your Arduino or other microcontroller -- no need to unplug anything. PixyMon is open source, like everything else. For more information on Pixy, go here.